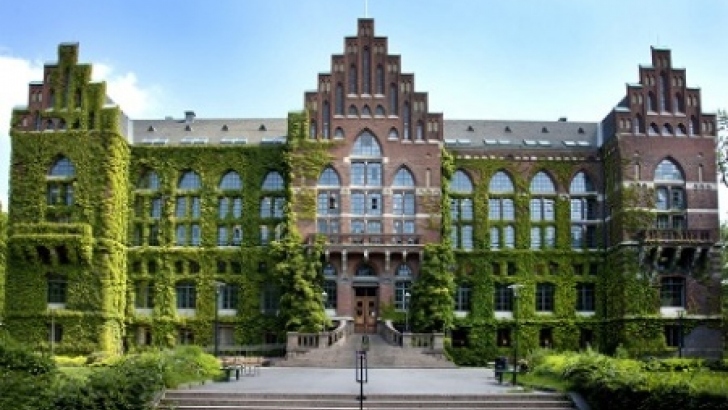 A new postdoctoral scholar position in development economics is available at Lund University. The initial contract for this position is three years. Applicants should apply before October 19, 2018. Lund University School of Economics and Management is one of eight faculties within Lund University. More than 4 000 students and 450 researchers, teachers and other staff are engaged here in training and research in economic history, business administration, business law, informatics, economics, statistics and research policy. The Department of Economic History is a research-intensive department that employs about 100 people: researchers, teachers, technical/administrative staff, and Ph.D. candidates. The department has a large PhD programme and co-ordinates three international Master programmes. The Department has a well established reputation for wide-ranging research with an emphasis on long-term processes, and with economic theory and quantitative methods as important methodological tools. Strong research areas at the department include economic growth and structural change, innovation, energy and sustainability, development economics, and economic demography, as well as financial history and education and the labour market. More information is available at the Department's website: http://www.ekh.lu.se/en. The holder will conduct independent research in Economic History. She/he must be willing to intract with the students and to participate actively in the common activities of the Depratment of Economic History. The position involves a limited amount of teaching and/or supervision of Bachelor and Master’s Theses. This may aomunt to a maximum of 20% working hours. To be qualified for employment as post doc, an individual must hold a PhD in Economic History or related discipline (e.g. Economics, Sociology, Economic Geography, History), awarded no more than three years ago (unless the applicant has been on parental leave or leave due to illness). Applications will also be accepted from persons who have not yet completed their PhD, but this condition must be satisfied at the time of employment. Scholarly proficiency is the main requirement for employment. The holder of the position should be competent and experienced enough to be able to carry out independent research in Economic History. For appointment, the candidate must have demonstrated a high degree of research expertise as manifested in the quality of the PhD dissertation and publications. - ability to engage and inform society at large about research. The evaluation will take the experience, knowledge and other personal qualities into consideration. The applicants' ability to use their skills and experience to strengthen and supplement existing research activities within the Department of Economic History will also be considered. This is a full-time, fixed-term employment of two years. The period of employment is determined in the agreement "Avtal om tidsbegrnsad anstllning som postdoktor" ("Agreement on fixed-term employment as a postdoctoral fellow") between the employer organization and the union organizations (http://www.arbetsgivarverket.se/avtal—skrifter/avtal/avtal-om-tidsbegransad-anstallning-for-adjungerad-larare2/).